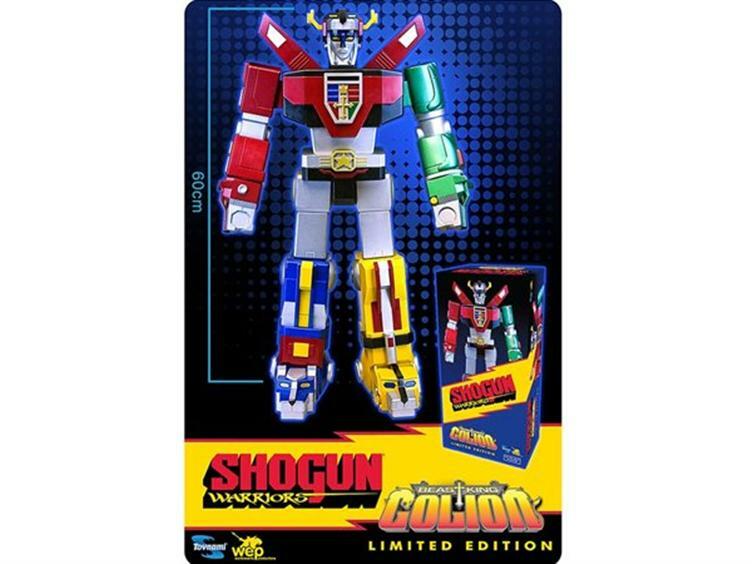 Toyark Sponsor Big Bad Toy Store has listed a pre-order for a new Shogun Warriors figure. 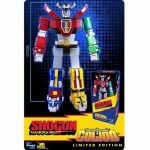 The new figure is a 24 Inch Tall Shogun Warriors Beast King GoLion (aka Voltron). This is a vinyl figure standing about 2 feet tall. It does not convert to individual lions (unfortunately). The figure is limited to 500 pieces. It’s scheduled for release next month at a price of $229.99. If this had come out about 7 years ago, I'd seriously consider it. As it stands now, it's hella expensive and unfortunately out of my reach. On a side note, love the new avi, Joe. Thanks man. Saw it and had to use it. So fitting for the site. This is a vinyl figure standing about 2 feet tall. It does not convert to individual lions (unfortunately). Well, GOOD LUCK moving these things!! And why do I suddenly want to give Joe a hug? I think this will appeal to Shogun Warriors fans and Jumbo Machinder, but I have read that some of those fans actually think the Voltron(s) will stick out too much because of the modernized styling. For guys like us, we have the MPC Voltron by Toynami, and the offerings from Mattel next year, which I honestly hope are excellent. Mattel has great stuff like their WWE Elite/Legends line(s), and DCUC, but has bad stuff too, like Avatar and DCIH. The Shogun Warrior Go Lion will make an excellent display piece, but I'm not planning to buy it. Fully articulated stuff for me! Hehe cool, you introduced her to Go Lion.